This sponsored set consists of the cleanser, scrub & moisturizer. What's so special about Eucerin DermoPURIFYER? Firstly, it contains natural ingredient; Lactic Acid that is more gentle to the skin as compared to Salicylic Acid or Benzoyl Oxide. It is able to reach deep into the pores where the acne originates and targets specifically the affected areas without drying out the rest of the skin. So one won't have to deal with redness, dryness or flaking skin in this case. 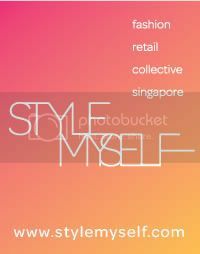 Grab your sample kit now, it's FREE - (Postage Waived)! So how does Lactic Acid help with the elimination of acne? Another 2-in-1 product, I absolutely love cleansers that removes makeup and cleanses at the same time. This is a gentle cleanser that cleans efficiently without stripping your skin of its natural moisture. It lathers up easily without water and makeup was removed effectively. The end result? Baby smooth skin that was soft to touch. 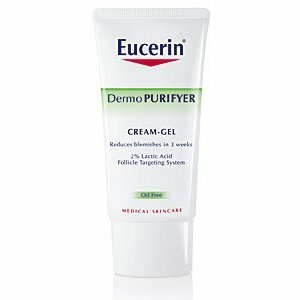 I also like how Eucerin products like this cleanser are oil free and non-comedogenic. This scrub contains Lactic Acid beads and pore refining micro particles that gently exfoliates the skin and targeting blackheads and acne at the same time. My nose which is a breeding ground for blackheads usually feels slightly rough to touch but after using the scrub, it felt smooth and so is the rest of my face. It feels like as though there is a thin veil of powder all over my face. The texture of this moisturizer is light-weight and though it may be slightly sticky during initial application but it is quickly absorbed onto the skin. It provides adequate hydration to the skin and regulates excess sebum formation. Skin that is sufficiently hydrated will not produce more oil and this will lessen the likelihood of acne and blemishes. Updates as of 30/12: I gave it to my sister to try out and her pimples have all flattened and are reduced to just scars now. Amazing!!! Try out the products for yourself, redeem a sample kit by CLICKING HERE. This is the first time I'm using anything from Eucerin and I'm pretty impressed. 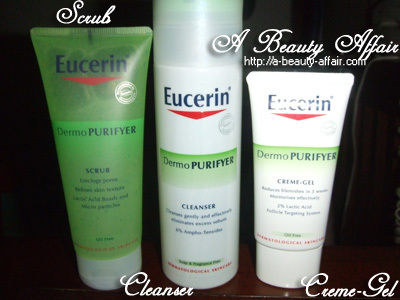 Eucerin, is a dermo-cosmetic brand that you can trust. Now you can have clear skin with just 3 easy steps!